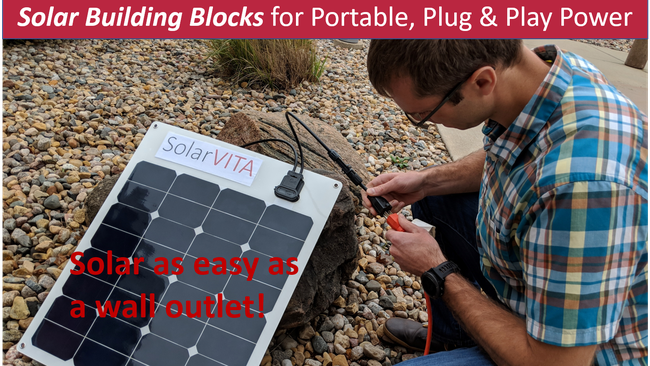 Solar building blocks with off-grid AC solar panels. Take them with you. Setup in seconds. As easy as a wall outlet. Plug in, live life.